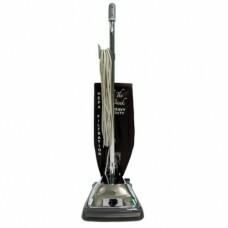 The Bank Heavy Duty Vacuum is the best built heavy duty deep cleaning vacuum sold today. The Bank has a built-in magnet bar to protect the vacuum from any metal objects, and dual row brushes that agitate the carpet to remove even the most embedded dirt and hair from any type of carpet. The Bank Heavy Duty comes standard with HEPA filtration bags, and is recommended by The Carpet and Rug Institute for all carpet types. The best built heavy duty deep cleaning vacuum sold today. The Bank has a built in magnet bar for any metal object that might be in the way, Dual row brushes that agitate the carpet to remove even the most embedded dirt and hair from any type of carpet. The Bank is gentle enough to use on bare surfaces too. The Bank comes standard with HEPA filtration bags, and is recommended by The Carpet and Rug Institue for all carpet types.